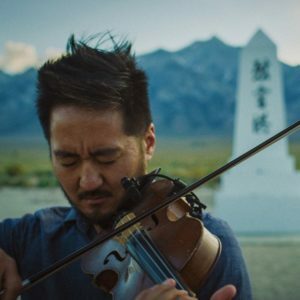 Kishi Bashi, born Kaoru Ishibashi, is a singer, multi-instrumentalist and songwriter based in Athens, Georgia. 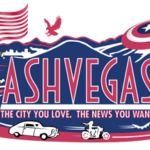 Bashi joined Asheville FM News correspondent Tonya Clanton for a discussion about improvisation in both music and conversation, toxic masculinity, and Japanese-American history. Bashi will be performing on Friday, April 5 at the Diana Wortham Theater as part of the Connect Beyond Festival. Bashi is known for an improvisational music style that blends whimsical pop with classical violin and intelligent lyrics. 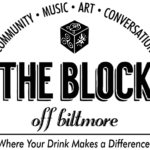 He was Bob Boilen’s (from NPR’s All Songs Considered) favorite new artist of 2012 and has played festivals such as SXSW and Austin City Limits, as well as opened for Regina Spektor and Sondre Lerche. In 2014 he created his own coffee line through Jittery Joe’s, and in 2016 he released his album Sonderlust live on All Songs Considered. His most recent project, due out May 31, is the film and soundtrack project, Omoiyari, which highlights the injustice of Japanese internment camps in America during World War II. Through the artful blending of music, story, and documentary, Bashi creates a powerful statement on the dangers of fear and racism. He describes “a failure of leadership” in which government leaders “succumbed to media hysteria.” The overall message is “a warning to not let fear drive you to do things to harm other people.” You can watch the trailer here.